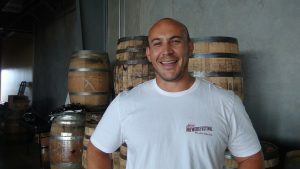 Maui Now : Behind the Beer at Maui Brewing Co.
Garrett Marrero knows where that place is. Here. Maui. 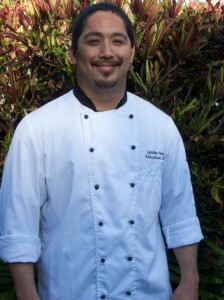 His business is fiercely local, from its shiny 42,000-square-foot brewery in Kīhei with more than 100 employees to its range of Maui ingredients in the beer itself. “Keep it here, keep our neighbors employed, keep the revenue on the island,” he urges. 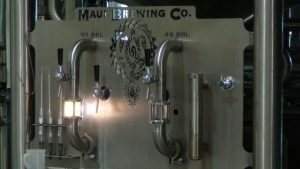 Maui Brewing Co. started in 2005 with a facility in Lāhainā that now houses start-up Koholā Brewery. For the first few years, three beers came off the production line: Bikini Blonde Lager, Big Swell IPA and CoCoNut Porter. 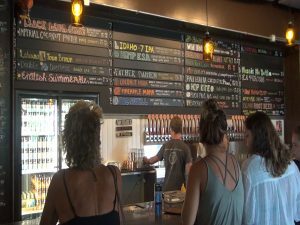 These days, there are up to 32 Maui brews on tap at the Kīhei facility, which was built around a year and a half ago. 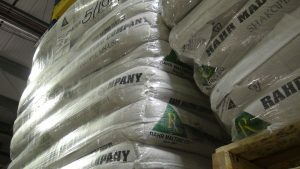 The silos store up to 400,000 pounds of base malt; then the process begins inside with meticulously-cleaned machines that expose the starches and a “whirlpool” to separate grains. 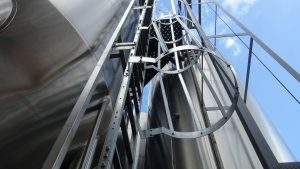 After that comes fermentation, clarification and distribution, either straight through the lines into the tap room, or over to the packaging station, where the cane line handles up to 380 cans per minute. The kegs get filled quickly as well. 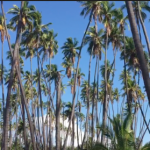 The Kīhei production facility expands capacity to nearly 100,000 barrels. The space includes plans for a restaurant, which will come after Maui Brewing completes a new brew pub in Waikīkī. 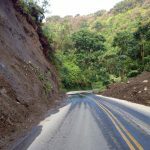 To say founder and CEO Marrero was involved in the Kīhei construction project is an understatement. Huge fermentation tanks outside the brewery. Photo by Kiaora Bohlool. Tour guide Jeff Scritsmier shows a group around the brewery. Photo by Kiaora Bohlool. Equipment at Maui Brewing Co. Photo by Kiaora Bohlool. Ingredients used in different beers at Maui Brewing Co. Photo by Kiaora Bohlool. Keg and can production lines at Maui Brewing Co. in Kīhei. Photo by Kiaora Bohlool. Quality ingredients at Maui Brewing Co. Photo by Kiaora Bohlool. 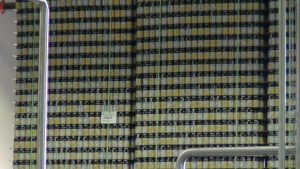 Wall of cans at Maui Brewing Co. Photo by Kiaora Bohlool. 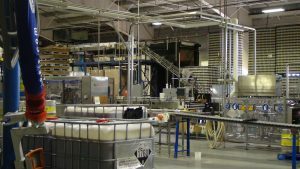 The brewery offers six tours a day between noon and 3:15 p.m. They include a beer tasting, commemorative glass and a whole lot of learning. 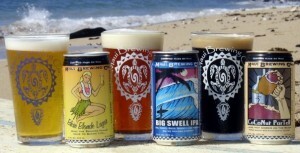 Original Maui Brewing Co. can design on the bottom, newly-branded cans on the top. Photo by Kiaora Bohlool. 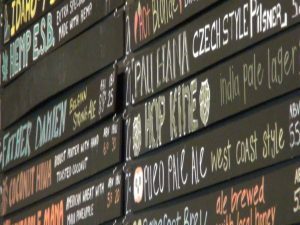 Up to 25 Maui brews on tap at the tasting room in Kīhei. Photo by Kiaora Bohlool. Maui Brewing Co.’s tasting room. Photo by Kiaora Bohlool. What they do — brew beer here, “with Aloha,” as the motto goes — is rare, especially when expenses can be so high. Marrero says state liquor tax is 10 times the national average, and that’s not all. “We have the highest cost of energy in the country, the highest cost of CO2 in the country, the highest cost of employment the country,” he explains. 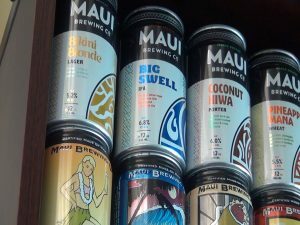 Maui Brewing has earned the distinction of largest craft brewery in the state, and recently expanded its mainland reach to the Midwest. It just claimed several awards at both the prestigious Denver International Beer Competition and the U.S. Open Beer Championship. “Craft beer is about more than just the beverage; it’s what’s behind the beverage as well,” says Marrero. Behind that beer is a lot of local love, including more than 20 ingredients sourced from the islands, like fresh pineapple (crushed on-site), honey, vanilla, lilikoi, chocolate, ‘ulu, lemongrass, citrus, onion, hibiscus and lavender. 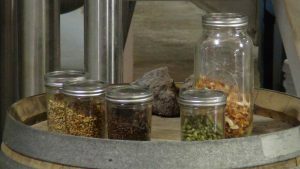 Many ingredients are used in limited-release beers, which come out every few months, then sometimes come back a few years later, depending on response. “If you have it all the time, you want something different, but if you can’t get an item, you want it more than you can imagine,” says Marrero, who saves customer emails to remember the fleeting favorites. 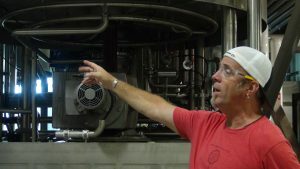 In addition to state-of-the-art sanitation equipment before the brewing starts, there’s a lot of energy put into quality control as the beer is created, to scrutinize factors like color, calories and IBU (international bitterness Unit) levels. The brewery is located at 605 Lipoa Parkway, and its tasting room is open seven days a week between 11 a.m. and 10 p.m. You can learn more at Maui Brewing Co.’s website. Behind the Scenes at Maui Brewing Co.